The Spokane Chiefs have announced the game schedule for their Western Conference Championship playoff series versus the Vancouver. 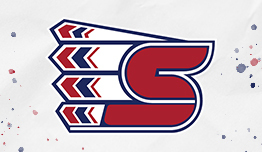 The Chiefs will travel to Vancouver to begin the series on April 19 before returning to Spokane Arena to host Game 3, Game 4 and Game 6 (if necessary) on April 23, 24 and 29. Tickets for the Game 3 and Game 4 of the conference finals are available online, via the Chiefs’ Ticket Office, over the phone at 509-535-PUCK or in-person at Spokane Arena.